From this week your baby has a sleeping and waking rhythm. That means that baby has a specific, reasonably regular pattern of sleeping and waking. Unfortunately, the pattern doesn’t match your rhythm. They are almost opposite! When you are resting or sleeping baby has lots of space to move around. When you are busy, your movements rock your baby to sleep. It can be a bit inconvenient that you have different patterns. It isn’t easy to fall asleep when baby is moving around the whole time and actively kicking their legs about. One thing you can do is to lay down for about half an hour before you really want to go to sleep, then baby will have gone through most of their ‘active time’ and should then sleep. From this week you can hear your baby’s heart with a wooden Pinard horn! When you feel the position of your baby and place the horn there everyone will be able to hear the heartbeat, apart from you that is! You would need to be a contortionist to get your ear to the horn. In a few weeks, when your belly is a bit larger you should be able to. But it’s a fantastic experience for your partner, friends and other children. The big difference with hearing the heart in this way and with the midwife or doctor is that you hear it directly with the horn. The monitor the midwife or doctor uses creates a Doppler effect, an echo, to hear the sound. If you can’t get hold of a Pinard horn, then you could try using a toilet paper roll. It’s a bit trickier but it will work with practice. 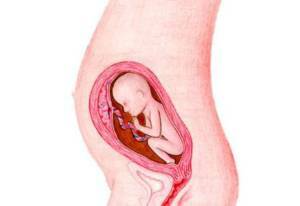 The further along in your pregnancy you are, the easier it is to hear the heart.